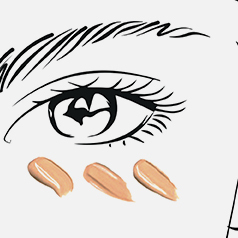 High coverage concealer for a radiant finish. Hide dark circles & uneven skintone. Touche Éclat High Cover is a radiant high coverage concealer to immediately conceal dark circles and uneven skintone. The formula contains calendula extract and caffeine. Also infused with Vitamin E.
For the first time, the iconic radiance of Touche Éclat available in a high coverage concealer. Longwear. Natural luminous finish in one step. Discover the Touche Éclat Collection here or how Emma Louise Connolly uses the Touche Éclat Collection here. Apply Touche Éclat High Cover using the brush applicator to the areas you wish to cover. Choose a colour close to or one shade lighter than your skin tone. When using your Touche Éclat High Cover pen for the first time, you will need to click the pen up to 20 times to allow product to come through. Pro tip: Use Touche Éclat High Cover on your eyelids as a base to create the perfect canvas for your smokey eyes. Touche Éclat High Cover is rated 4.8 out of 5 by 202. Rated 2 out of 5 by Ellisr33 from Dissapointed I had high expectations of this concealer but I found it to be very average. It creased when I applied under my eyes so I would stick to the usual Touche Eclat for that area. I also found it hard to blend so it took a bit more time to go over my blemishes than my usual cream concealer. No good if you are in a hurry. The colour ranges are good and I used 2 Ivory which although a touch too light for my lightly tanned skin, it was still warm enough for my skin tone. It did stay put once applied and it does give full coverage however I will probably just use this to line under the eyebrows and for an emergency when my usual concealer runs out. Rated 5 out of 5 by pmadge from Fantastic YSL has done it again with the concealer version of the iconic Touche Eclat. It amazes me how many people think that the original Touche Eclat is a concealer when it is actually a highlighter pen. I am beyond thrilled that YSL decided to launch the concealer version of it and even more thrilled that it is a very good one. I found the coverage really good that still looked natural and lasted all day without going cakey or creasing in the fine lines around my eyes. Best application for me was with a small beauty blender and I also primed my skin before applying my make up. The colour range is good too, I can't fault it. Well done YSL. Rated 5 out of 5 by Megan1990 from Great coverage I work night shifts! Under my eyes always look tired and dark. I tried this high coverage concealer under my foundation and my dark circles where no more! When I first blended the concealer before my foundation , I found it blended perfectly into my own skintone. (Number 01). My YSL foundation settled nicely over the top, making the coverage as a whole look so natural. I’ve never worn a concealer before now under my eyes. And now, I honestly wouldn’t be without this! The high coverage concealer is also so easy to use in the tube! Click the end and brush it on with the attached brush end. Making it easy to get just the right amount. Rated 5 out of 5 by Lizziebow from Game changer I am a fan of the original Touche Eclat and couldn’t wait to get my hands on this and it certainly didn’t disappoint. I used this as a concealer under the eyes and it has amazing coverage but it’s nit cakey or heavy, just leaves a beautiful fresh look that lasts all day. Also I used this on its own when I wasn’t wearing foundation, just to hide a few blemishes and discolouration and it gave me a beautiful glowy, uniform finish that just made it look like I had perfect skin. So this is a real winner, wether you are a Touche eclat fan or just looking for an amazing new concealer, this is the one. Rated 4 out of 5 by Glossgalore from A nice concealer but not full coverage This concealer has some great plus points - the ease of application from the pen, ease of blending and great shade range are the main ones for me. I don’t have exceptionally dark circles under my eyes but if you do, I don’t think this is going to be full enough coverage for you. It’s a concealer, but not a corrector. I really enjoyed using it and the shade 0.75 works well to blend in with my B10 skin tone - I don’t personally like the super highlighted under eye look so I want more of an exact match to my foundation than a lighter concealer that stands out. A great one to chuck in your makeup bag for little touch ups on the go. Rated 5 out of 5 by Spider from Great invisible coverage This works really well at covering discolouration around the eyes and edges of nostrils. The thing is my original touche eclat did a good job on this also and as I don't have troublesome areas that my original T Eclat can't help with thoroughly I don't need the extra coverage with this one. However I can see that it would be really good at minimising unwanted discolouration as it only requires minimal application of the few tiny dots of product to cover any markings entirely. Stays on all day and the glowing illumination is there like the original. I just don't need the extra coverage but is perfect for anyone who does. Rated 5 out of 5 by Mocksy from Fantastic concealer Was really excited to try this concealer as I have used many others before and had heard great things about this product and knew it had a great reputation for being the best. I found it to be amazing, I have bags under my eyes which can be quite dark and this worked a treat on them covered them up like a dream invisible! I also have a few pigmentation marks on my face which also got covered wonderfully. Product feels really smooth and non drying, really easy to apply with the brush. Tried on blemishes too and was brilliant at covering them up. Fab product definitely will be buying again. Rated 4 out of 5 by olicoco from Long awaited high cover! I have been using the original Touche Eclat for more than years than I care to remember! Whilst this is amazing and a staple item in my makeup bag, I have often longed for cover as well as luminosity so was delighted to see this new product. 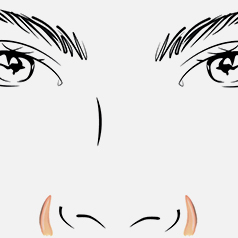 It does a really good job of concealing dark circles but as I have quite a lot of lines under my eyes, I did feel that that these appeared more emphasised than I would like. However, I found it brilliant for covering up darkness on the inner comer of my eyes/ top of my nose and concealing some uneven skin colour patches on my chin. I really like that there are several shades to choose from. I went for Ivory this time but will go for a darker shade in the summer.